Some poker players live like kings and queens. In fact, like a lot of casino fans, you probably think all successful poker players with millions to their names live the clichéd lifestyle of Vegas penthouses, fancy cars, and expensive jewelry. But that’s not necessarily the whole story. Some live way more modestly. And others make the description we just mentioned above seem like the life of a homeless man by comparison. Today, we’re revealing the lifestyles of three big names in poker. How each one lives his life will blow you away. Dan Bilzerian likes women, Vegas, beaches, women, drinking, and women. And he doesn’t care who knows it. That’s pretty much the vibe the outspoken poker personality gives off on Twitter, on Instagram, and in real life. When he’s not doing damage at the poker tables, you’ll find Dan Bilzerian surrounded by beautiful women. And when you don’t find him surrounded by beautiful women, it’s likely only because he’s locked in a bedroom with beautiful women and he’s not quite done with them. The former almost Navy SEAL is now an actor, poker player, and social media celebrity, with a ridiculous number of followers on Twitter and Instagram. He’s estimated to be worth about $100 million. And by the lifestyle he lives, we’re surprised he’s not out of money. Bilzerian essentially lives the life every not-yet-successful poker player dreams of living. And since he claims he turned a small poker buy-in into the dream life, many people believe they can achieve the same level of success. There’s just one thing. Dan was likely unbelievably loaded before he even played his first hand of poker thanks to a trust fund and some family riches. Still, it doesn’t matter where you got the money. It’s what you do with it. And Bilzerian is doing way more than anyone could fathom. You know Daniel Negreanu as Canada’s claim to poker fame. But he’s old school. He’s from Ivey/Hellmuth/Duke camp. He’s made millions—tens of millions, actually—but he represents the old breed of poker player. While Negreanu crushes the felt in the live tournament circuit, new poker champs are made online and Matt Marafioti represents today’s young, brash poker player. Marafioti is a native of Toronto, Canada, just like Negreanu, but the resemblances end there. While Negreanu is respected the world over and known to be relatively cordial at the tables, Marafioti has a reputation as being brash. There have been some cheating allegations in various online poker forums, but we’ll leave that topic for another day. This is all about how the young poker pro lives. And he lives like a true baller. When he was 19, he purchased an Aston Martin. When he was 21, he bought a house for $2 million. And he even has ostrich shoes worth $2,300. I didn’t even know you could buy shoes for $2,300. My new pair of New Balance sneakers cost $129.99 and I had second thoughts parting with my money at the cash register, but I digress. What would you do if you had $5 million, earned through poker winnings? If you’re like a lot of young poker players, you’d buy a penthouse in Vegas, a car that goes faster than you’ll ever contemplate driving it, a boat (even though you might get easily seasick), and other unmentionables that you don’t really need. You’d drop ten grand at Vegas hot spots just because you can. You’d tip $1,000 on a $20 meal just because you can. And you’d tell everyone you’re doing it just because you can. Or maybe you’d live more like Faraz Jaka, one of the most unconventional poker players as far as poker lifestyles go. Jaka is living the dream. He’s played in hundreds of poker tournaments. He’s traveled to dozens of cities, more countries than I even knew were on a map, and accumulated more air miles in one year than most people earn in a lifetime. But you won’t find him at 5-star hotels. He prefers to get some shuteye on random people’s sofas. For Faraz Jaka, it’s all about experiences, not objects, that make for an interesting life and equal happiness. Jaka doesn’t have a home. In fact, in an interview with CNN, he describes himself as a homeless millionaire. He’s got one suitcase with the bare essentials: T-shirts, shoes, a handful of button down shirts, a sports coat, some swim shorts, plugs, adapters, and of course a laptop for grinding the online tables. And while other poker players can’t stop talking about how rich they are and how expensive their ostrich shoes were, Faraz Jaka prefers to keep his mouth shut. Literally. The poker pro once spent 10 days in silence in a Buddhist monastery. What’s your idea of the perfect poker lifestyle? Imagine for a second that you had a million or two in poker winnings? How would you spend it? If you think this is a far-fetched question, think again. For every outspoken million-dollar winning poker player who makes the news, there are dozens of highly successful poker players who probably aren’t on your radar. Guys and gals who don’t document every $500 piece of sushi they’re about to eat on Instagram. Gals who don’t brag about the Tesla they just bought with cash. Today, average people like you and me are making big money playing online poker and live poker, too. We don’t offer online poker here at Prism Casino, so we have no vested interested in this. We’re just calling it how we see it. So what’s the trick to making millions playing poker? Studying the game. 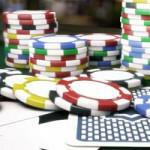 Unlike casino games that involve mostly luck, poker is skill-based. It’s not about playing your cards. It’s about taking whatever hand you’re dealt and outsmarting your opponents. If you can do that—if you can make a name for yourself and become a strong player—you could live the poker lifestyle you’ve always dreamed about, whatever that may be. 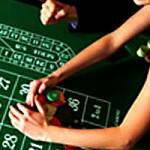 Rules of Craps – Newbie’s Guaranteed Success! Scary Stuff at Casinos During Halloween!